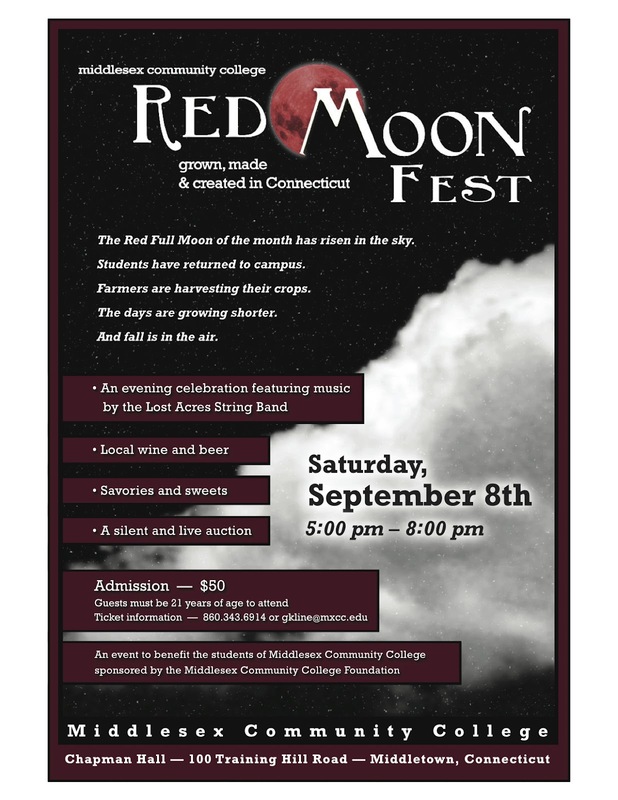 Here's another mark your calendar event for September: Red Moon Fest at Middlesex Community College in Middletown, CT. 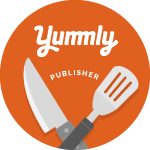 I couldn't resist giving this event a shout-out because the theme of this year's fest is "Grown, Made and Created in Connecticut" and will feature locally-sourced foods, wine, and beer. There will also be a silent and live auction. Some of the donated auction prizes sound pretty cool, including a South Africa photo safari, a Cape Cod weekend getaway, works of art, and more. Tickets are available for $50 each. All proceeds go to The Middlesex Community College Foundation, a non-profit charity dedicated to the support of Middlesex Community College and its students. The Middlesex Community College Foundation raises support for student scholarships, faculty development, instructional equipment, and public lectures and programs that contribute to the quality of life here in Connecticut.